1. How did you get into the movie business? Like most people, I started making small 8mm films with friends and eventually moved into 16mm. After The Deadly Spawn went theatrical it was easier to raise money. For Metamorphosis: The Alien factor I raised over 1.2 million. 2. Who was your biggest inspiration? Film makers like Robert Evans (Love Story, The Godfather, etc) always inspired me. Also, in low-budget, someone like Gene Fowler. He made I Married A Monster From Outer Space and I Was A Teenage Werewolf for a very modest budget. 3. 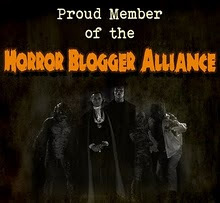 Have you always been a fan of the horror genre? I like horror...but my favorite genre is science-fiction. I justwish I could have a budget to really compete in that arena. 4. 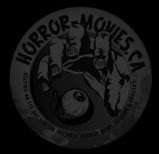 What is your favorite horror movie and why? 5. What is your favorite Hollywood Title, Director, And Actor? Film title? It's A Wonderful Life. Director? James Cameron right now... Actor? James Cagney. 6. Out of all the movies you have been involved in, what is your favorite? Of course I like the ones with the bigger budgets because of the production value. Metamorphosis: The Alien factor and This Thing Of Ours. I always have a sentimental feeling about The Deadly Spawn because it was the first. 7. How did you come up with The Deadly Spawn? I made a couple of films with Don Dohler (Nightbeast, Fiend) and wanted to start my own film company in New Jersey. I asked John Dods if he wanted to be my partner and he said, “Sure!” I wrote a story and began raising money for what would become The Deadly Spawn. I showed John a few sketches I did of a monster I thought was pretty cool. Ithad 3 heads and 2 of them were operated like puppets from behind...as were a couple of claw arms. John looked at the sketch and said, “Oh no...not another man in a rubber suit!” I told him It's OK to come up with something else (keeping the same concept) but he had to be able to build it within the budget. He dropped the humanoid body and just lowered the heads onto a globular body with the arms coming frombehind. He actually drew up a few concept designs, but we finally picked the one you see in the film. Between John and myself we were going to write, produce and direct the film. But we all had jobs and John thought we should bring somebody else in to direct. Doug McKeown was John's friend so we had a meeting and decided we would all makethe film. Eventually John and Doug had a falling out and could no longer work together. Doug left around midway through production. The film still got made and I secured a theatrical release. 8. Do you ever see a Deadly Spawn remake happening? Would you want to be a part of it? It almost happened a few times. I'm working on a story right now for Spawn 2. I'm also working on a comic book adaptation with Anthony Ruggiero. He's a great artist with lots of cool ideas. Now we can make all the crazy stuff I always wanted to do such as Spider Spawns, Scorpion Spawns, Octo Spawns, flying Spawns, etc, etc. We'll probablyalso be making a prequel and sequel. I'll keep ya posted. 9. How can we get a copy of Hell On Earth? 10. What is your current/next project and when can we expect it? 11. What advice do you have for anyone wanting to be in the horror movie business? This is a great time and a terrible time. It's great because you can get all the bells and whistles pretty cheap. The technology is there...great cameras, home editing. It's bad because everybody can get it. There are hundreds of small films out there. If you want a distributor you better have names or great production value or you'll be on the end of a loooooong waiting list.